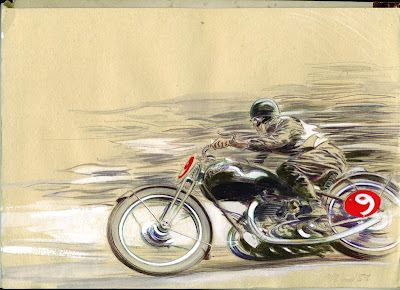 Ride the Machine: The Art of Denis Sire. 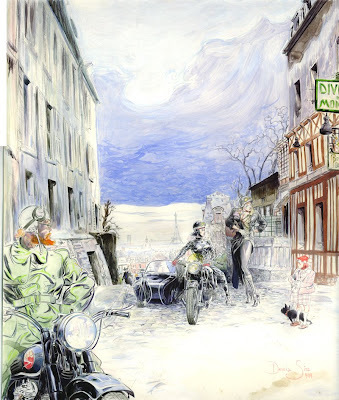 "Denis Sire met Frank Margerin during his art studies in Paris. Together, they formed the band Los Crados. At the same time, Denis Sire made his comic debut in Métal Hurlant. For this magazine, he made among others 'Menace diabolique', 'Bois Willys', '6 T Mélodie' and 'Lisa Bay'. 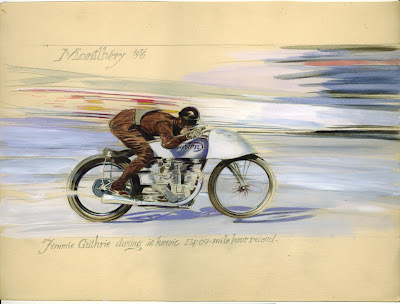 In 1987, he made 'Best of Racing', an album that appeared at Art Moderne. After some appearances in Zoulou and l'Écho des Savanes he created 'Ziblyne et Bettie'. In 1997, he worked with Jean-Pierre Dionnet on 'l'Île des Amazones', again in L'Écho des Savanes."